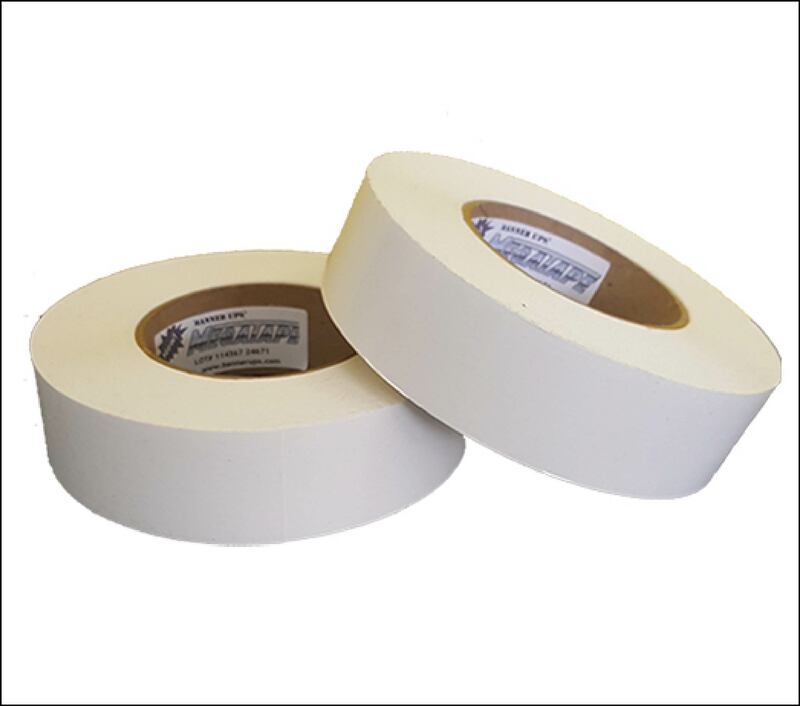 MegaTape® is a double-side hem reinforcing tape with an even greater strength than traditional PowerTape. Withstood winds of 98+MPH in wind tunnel tests! Produces a fold-finished banner edge for customers who prefer that look. Easy to apply. Wears like steel! Much cleaner appearance and twice as strong as ordinary double-sided banner hem tape. May be used for double sided banners. Since the hem is folded the tape is hidden inside.